Fox5 DC reporter, Laura Evans recently featured Greenplicity on her Laura’s Likes segment. Click here to see the video! WASHINGTON, Sept. 19, 2013 – Bursting onto the DC parenting scene today is Greenplicity, a line of personal care products designed for kids’ ages 0-6. Greenplicity uses a unique blend of food-grade ingredients making the products safe and non-toxic for children if ingested. “Greenplicity was born when a gentleman reached out and touched my infant daughter’s hands as we were out shopping. 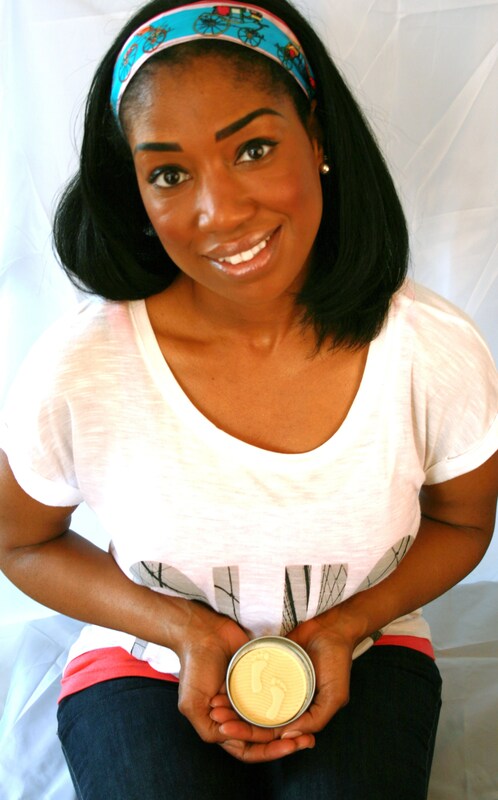 Realizing there was nothing I could clean her hands with that wouldn’t end up in her mouth I decided to create my own line of child-safe cleansers and lotions” said Shanika McCloud, founder of Greenplicity. Headquartered in Northern Virginia, Greenplicity takes a unique approach to skincare. Featuring edible components, Greenplicity’s line offers a cleanser designed to clean hands without soap and water, body butter for a child’s delicate skin, and a lotion bar that’s perfect for newborn’s extra dry skin and Mom’s overworked belly. Greenplicity products not only care for kid’s outsides, but also take care of their insides should they put their hands (and feet) in their mouths. “Our mission is to provide parents and caregivers with safe, non-toxic personal care items for their little ones” said McCloud. Greenplicity’s line is available at www.greenplicity.com and at select events around the DC area. Founded in 2013, Greenplicity is committed to making the safest personal care products for babies and children. Featuring cleansers, soaps, lotions and body butters, Greenplicity is made of food-grade ingredients featuring essentials oils and all-natural ingredients. The products are non-toxic, and, while not designed to be eaten, are safe if consumed. For more information visit www.greenplicity.com , like us on Facebook, follow us on Twitter, and join us on Pinterest.